Pope Francis will make his first visit to Africa this week, stopping in Kenya, Uganda and the Central African Republic. But hosting the Holy See is not cheap, especially for impoverished and indebted African nations. The papal visit to Kenya alone will cost the country about $2 million. The Kenyan Conference of Catholic Bishops held a dinner earlier this month to fundraise for the pope’s three-day stay, which begins Wednesday, according to Kenya’s Citizen Digital. Laborers have been busy paving new roads and refurbishing old ones in the capital, Nairobi, that will be used by Francis and his convoy. Meanwhile, the East African nation continues to accumulate debt to cover for a projected budget deficit of 8.7 percent of gross domestic product. "A deficit of 8.7 percent is very worrying," Razia Khan, Africa economist at Standard Chartered Bank, told CNBC in July. 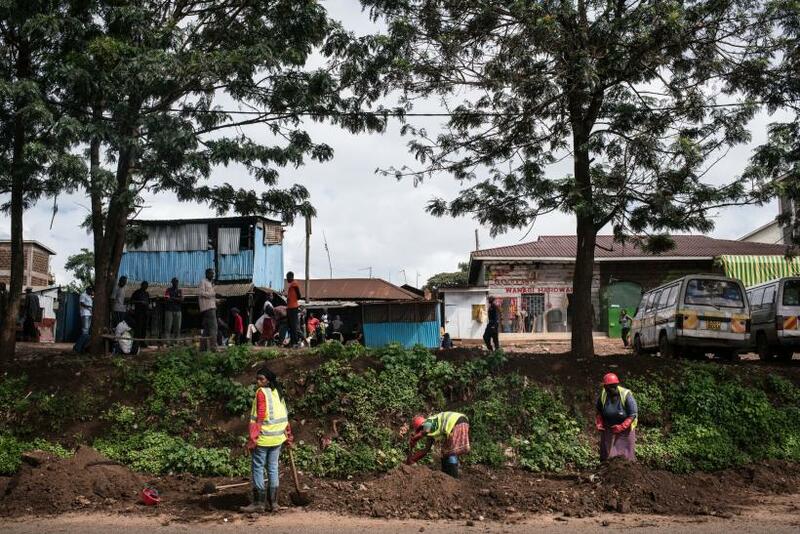 The closure of major roads in Kenya’s capital, Nairobi, could also cost local businesses. Nairobi Police Commander Japheth Koome said Tuesday that traffic will be disrupted along Mobasa, Uhuru Highway and State House Road when President Uhuru Kenyatta receives Pope Francis Wednesday. Other roads will be blocked Thursday when the pope holds Mass at the University of Nairobi campus, according to the Star local newspaper. After his visit in Kenya concludes Friday, Francis will head to Uganda. The country’s Catholic Church received about $5.3 million for renovations of the Uganda Martyrs Shrine in a Kampala suburb ahead of the papal trip. Many Ugandans have also donated cash toward sprucing up the Catholic shrine at Namugongo, where more than 2 million people are expected to gather Saturday. “To receive all these people is not easy. You have got to provide facilities for all of them, for all the pilgrims coming from everywhere,” said Fr. Vincent Lubega, the rector of the Uganda Martyrs Shrine, told the Associated Press Tuesday. The Ugandan government has set aside another $1.5 million for other costs during the three-day visit, such as security expenditures. An estimated 15,000 police officers are expected to be deployed to ensure the pope’s stay is not threatened or interrupted, local newspaper Daily Monitor reported. Meanwhile, Uganda's fiscal debt is forecast to average 6 to 7 percent of GDP for the next few years, nearly double its average since 2011, according to Moody's Investors Service. It was not immediately clear how much Francis’ two-day visit to the Central African Republic would cost the country. However, additional troops have already been deployed in the nation ahead of the pope’s arrival Sunday. The United Nations said it plans to deploy some 300 peacekeepers to the Central African Republic from a U.N. mission in Ivory Coast for eight weeks to boost security ahead of the pope's visit and the country’s December elections, Reuters reported. France currently has 900 soldiers in Central African Republic supporting the U.N. mission, which has 11,000 soldiers in total. Although Pope Francis’ visit to Africa comes with a heavy price tag, it could bring in major cash for local economies. The Uganda Tourism Board hopes the papal trip will drive tourism in the country. “With the forthcoming papal visit and the billions being spent to develop the martyrs’ sites, we believe that Uganda will climb the faith-based tourism hierarchy and join Israel, Saudi Arabia, Italy and Jordan -- who are the top four faith-based tourist countries in the world -- and our focus is to ensure this country takes up the fifth spot,” Uganda Tourism Board CEO Steven Asiimwe told New Vision newspaper. 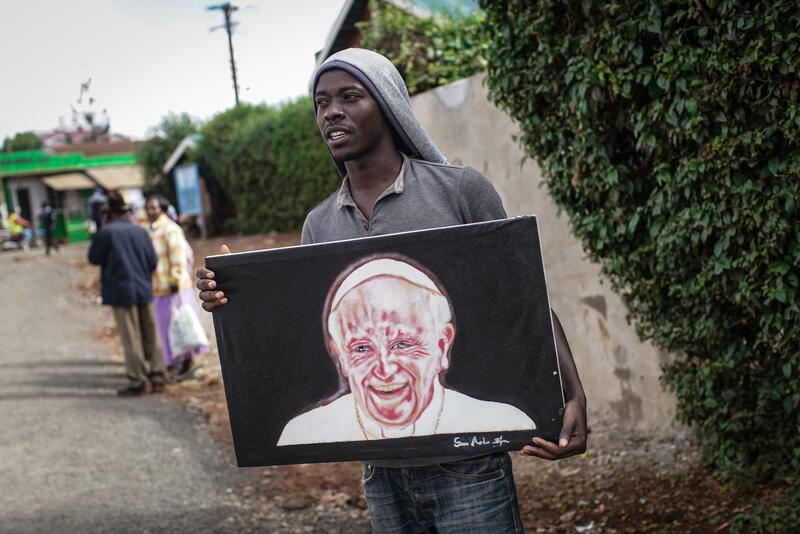 Kenya’s struggling tourism industry has also pegged its hopes on the pope’s visit this week. After deadly terrorist attacks in Kenya earlier this year, hoteliers along the coast are optimistic the papal trip will boost confidence in the East African nation as a safe tourist destination.